You! Yes, you there! Do you happen to be paying an extortionate monthly fee to money grabbing cable companies in order to watch network channels such as CBS, NBC, ABC, Fox, Univision, CW, PBS? What if we told you there was a device you could buy that would let you watch all those same channels, and more, without paying a penny to the cable companies, and it was completely legal! And you could watch these channels in pin sharp, crystal clear 1080p and 4k from your remote! For those of you who are unaware of outdoor antennas, red flags have likely gone up, and we don’t blame you, as, the majority of time, when a someone tells you that you can get for free something that usually costs a hefty monthly fee, it’s almost always hot air, and so, you are right to be super sceptical. But there are times when it’s the real deal, this is one of those times. I can imagine you rolling your eyes, thinking, of course we’re going to say that. But, here’s the thing, don’t just take our word for it. Check out the ten outdoor TV antennas below (which happen to be the best 10 on the market right now), and take a skim read of the countless unbiased, positive Amazon reviews for them, with most of the reviewers gushing about cutting or cancelling their cable bill for good. We’ve spent the best part of two weeks doing the laborious work of trawling through countless outdoor TV antennas (there are a lot on the market right now), and painstakingly selecting the ten which we believe are the very best on the market today. Signal Quality – When it comes to signal quality this thing puts most other outdoor antennas to shame. It has a staggeringly long 120-mile range, which would be more than enough in itself, but the antenna goes even further by enabling you to rotate the antenna, 360 degrees, wirelessly, using a remote control. So, the incredibly long range coupled with the ability to rotate the antenna to get the absolute perfect position for the clearest signal puts this thing in a league of its own when it comes to achieving channel clarity. Price – After reading the above, it wouldn’t be unusual for you to assume that this thing is in the region of several hundreds of dollars, but nope, not even close, and this is where our jaw really dropped. The Tree New Bee antenna, as of the time of writing this article, is a “rub-you-eyes-in-disbelief” low price of $36.99 on Amazon.com. We’ll let that soak in for a second. An antenna with a range of 120 meters for less than $50.00! So, it’s no surprise why it’s one of the best-selling outdoor antennas. First off, GE 33692 outdoor antenna is from one of the most well known and most reputable companies in the world, so you know it will be a solid product. The antenna has an impressive range of 60 miles and allows you watch premium channels including CBS, NBC, ABC, Fox, Univision, CW and PBS. It has Signal Enhancing Reflectors which drastically increases signal strength and go a long way in reducing dropouts. This technology allows the antenna to effortlessly deliver uncompressed 1080p signals for pin sharp, crystal clear images. Further, the antenna has Broad-Spectrum reception which allows you to receive VHF and UHF stations, in other words, a lot more channels for your buck! In terms of design, the antenna is attractive with a small footprint so won’t draw a lot of attention, and it comes with mounting bracket, mast and full assembly instructions. For more great tech options for your home, check out our guide to the best smart home devices. You can’t start talking about the 1byOne outdoor antenna without mentioning it’s truly striking and unique design. To us, it looks a lot like a butterfly, one with the benefit of delivering crystal clear TV channels for free! The antenna has an impressive range of 80 miles (20 miles more than the GE antenna reviewed above) and allows you to watch premium channels including ABC, CBS, NBC, PBS, and Fox. The antenna lets you pull local HDTV, VHF and UHF Signals which means more channels for your money! Number of accessories– Unlike many antennas on the market today that don’t come with very much, this one comes with a mast clamp, a detachable amplifier, 5ft 3C2V Coaxial cable and a mounting pole. Ease of set up – This is something a lot of outdoor antennas claim, but in the case of the 1ByOne Outdoor Antenna it really is true. Without running the risk of using too many clichés, an 8-year-old could set this up in half an hour (minus the actual clamping it to the house, for safety reasons!). The ease of setting this thing up is highlighted in the antennas marketing materials as, “Unwrap, Plug-in, and Scan channels”. We’d have to agree. 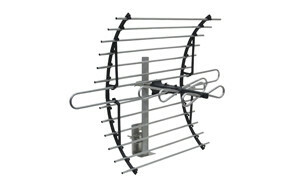 The RCA Yagi is a very robust, sturdy and incredibly feature rich antenna. Don’t let it’s classic, old school design fool you, it’s suped up with very 2017 technology. The antenna has a unique cross-phase, multi-element design which enables you to receive dramatically enhanced reception, resulting in a lot more channels. On the topic of channels, this thing receives both UHF and VHF signals, in other words, you’ll get the full spectrum of channels. You know how we mentioned above that this is an old school looking antenna with very new school technology built in? Well, let us elaborate. 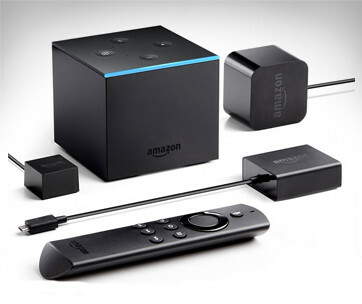 You can pair the antenna with all the latest streaming devices (Apple TV, Roku, Xbox ect), so you can now get live TV alongside your favorite shows from the streaming devices. The antenna is also ridiculously easy to set up and mount. With regards to set up, the company provides a quick, three-step, set up process that is so damn easy we can summarise it here. 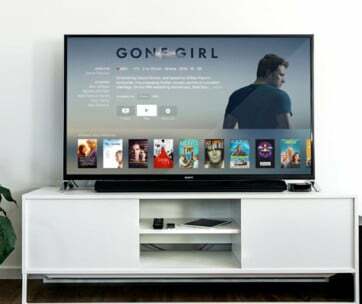 1) Connect the main coax cable to the back of your digital-ready TV. 2) Find the perfect placement for the antenna. 3) Scan for available channels, grab a chair and enjoy the channels. Yes, it’s that easy. Mounting is just as simple, especially as the package includes a mast, locking mast clamp and mounting hardware. One of the areas where this antenna really does shine, and something we briefly mentioned at the start of this section, is build quality. This thing is built like a tank and is designed to withstand extreme weather conditions. The antenna is designed and engineered in the US and every part of it is built with premium components. Oh, and it meets or exceeds all quality and performance standards that are set out by the Consumer Electronics Association (CEA). We reviewed its little brother above, but this older sibling (TNB-WA2805), has even more to offer, if you thought that was possible. The antenna has a truly unbelievable 150-mile long range. This is a range that is unrivalled in this price bracket. And much like it’s smaller sibling, this one is priced incredibly well, at $36.99. Again, similar to the other one, the TNB-WA2805 can be rotated a full 360 degrees via remote control, so you can find the absolute perfect placement to receive the clearest signal and most channels. Other features this antenna has include parabolic focusing reception, built in the high gain booster and built-in low noise circuit. So, what’s so different about it? Well, it utilises 8 individual antennas resulting in an unsurpassed gain of 17.4 dbi, cementing it as the most powerful antenna in the world. Further, the unique, and patented brackets allow the two panels to target broadcasts at multiple directions at the same time. This results in more channels at a higher clarity. All of this makes this system not only great for urban areas but also for rural areas where heavy foliage and roofing materials often reduce the incoming signal quite dramatically. Although the bowtie antenna system design has been around for a long time, Antennas Direct’s most unique innovation was making the system much smaller than current legacy systems whilst at the same twice as powerful. The system we are discussing here has an impressive range of 60 miles. Although the 8-element antenna looks like something out of a spaceship so assumed to be impossibly difficult to set up, it is actually super easy and the set up doesn’t deviate much from the way other single antennas (like the ones reviewed above) are set up. First off, we absolutely love the name! EXTREMEtenna, why didn’t anyone else think of that? The EXTREMEtenna 80 is an eight bay, phased array, outdoor antenna that is fully multi directional. This thing picks up everything, no seriously, we mean it. It scoops up both high definition and digital signals from a span of 180 degrees and a range of 80 miles. We’re talking UHF, VHF, FM and HD. Told you, the whole shebang. In terms of channels, that is major local networks such as ABC, CBS, FOX, NBC, PBS and The CW beaming onto your TV screen in glorious 1080p. With regards to design, this antenna isn’t the smallest one we’ve reviewed so far, but it is undoubtedly the most EXTREME…sorry…we couldn’t resist. On a serious note, I believe the fact that it captures the full spectrum of signals goes a long way in redeeming its slightly larger size and less sophisticated design. With regards to installation, we’re pleased to say it’s easy as pie to install. Most of it comes pre-assembled in the box with a built in balun allowing you to quickly and effortlessly attach an antenna mast and connect the coxial cable to your TV. It’s crucial to note however, that although the hardware to attach the antenna to a mast is included, the mast is not included and has to be purchased separately, which is a slight downer. The 1byOne outdoor antenna is a strong, robust device with a very traditional antenna design that has a remarkably small footprint. The antenna has a respectable range of 85 miles and can pick up HDTV, VHF and UHF signals that are local and free so enables you to watch a large number of channels. And the channels hit your TV in flawless quality, we’re talking full HD, 4K and even 3D! – depending on the channel and show. Unlike many antennas in this price range the 1byone outdoor antenna comes with all the accessories you need to get this thing set up and mounted in less than an hour without spending an extra dime on anything else. It comes with a mounting pole and High Gain and Low Noise Amplifier. Also, for peace of mind, 1byone offer a comprehensive 1 year warranty. This is really important as it shows they stand by their product and thus it’s more likely to be a highquality piece of kit. But they go one step further and offer a 30-day money back guarantee so you can test the antenna in your area to see the type of channels and quality of picture you get and if unsatisfied can return the product. We haven’t seen many manufacturers at all offering something like this. This Sky antenna from Mohu is a seriously nifty piece of kit. Gosh, where do we even start with this thing. I think the design would be a good place, and you’ll see why below. With this antenna, Mohu has completely reimagined how an antenna should look and feel. The antenna is small, super light (weighing just 3 pounds! ), impossibly thin (one inch thick), unobtrusive and actually…elegant (a word I never thought I’d use when talking about outdoor antennas!). And it’s as tough as it is elegant, it’s weather and lightning resistant so stands up admirably to the roughest weather conditions. The Sky is a patented design developed from research conducted by Mohu engineers in the US Navy! I can comfortably say that there isn’t a single antenna on the market that looks quite as good as this one. The Sky marks a big departure from the traditional, very wiry and flimsy look of most antennas, past and present. Dare I say it, we think, from a design perspective at least, the Mohu Sky is the iPhone of outdoor antennas. But don’t for a second let its small size, weight and elegant form factor lull you into thinking this thing is low on features, as that would be a big mistake. The Mohu Sky has a reception range of at least 60 miles and is powered by a tightly integrated 15gb amplifier. The Sky is also multidirectional, which means it can effortlessly receive broadcasts from multiple towers without you having to readjust the antenna constantly. And speaking of broadcasts, you will be pleased to know that the Mohu Sky supports both UHF and VHF spectrums. Oh, and the Sky doesn’t leave you in the lurch when it comes to accessories either as it comes complete with a thirty-foot precision low loss cable and robust mounting bracket. Much like the Mohu Sky we reviewed above, the 1ByOne Amplified Outdoor Antenna is unlike any antenna you’ve seen before. It’s sleek, round and inconspicuous. But this thing also has the brains to match its beauty. This 1ByOne antenna has a complete 360 degrees omnidirectional reception and a 60-mile range, in other words, it receives signals from up to 60 miles, from all directions without you having to manually move or rotate the antenna either by hand or remote control. All this means you consistently get the best signal possible. This 1ByOne antenna also laughs in the face of adverse weather conditions. It holds up brilliantly against strong winds, heavy rain, and intense sunlight (thanks to anti UV coating). Finally, the antenna supports all signals; VHF/UHF/FM. So, you get as many channels as possible in the clearest quality possible. GE 33692 Attic Mount HD Antenna. RCA Compact Outdoor Yagi Antenna. Tree New Bee Outdoor Antenna (TNB-WA2608). Tree New Bee Outdoor Antenna (TNB-WA2805). 8 Element Bowtie Indoor/Outdoor HDTV Antenna. 1ByOne High Performance Outdoor Antenna. 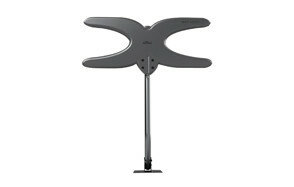 Mohu Sky MH-110585 Outdoor Antenna. 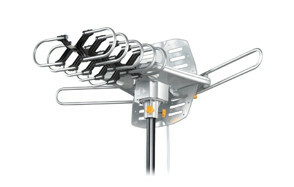 Q: What Is The Best HDTV Outdoor Antenna? A: Now this is the golden question, and answering it has been the main purpose of this article. After doing our extensive research we concluded that there isn’t one single best HDTV antenna, but around 10, (which we covered in detail in the above section). And the ultimate best one will largely be determined based on your unique circumstances and criteria. For example, for someone living in an area with adverse weather conditions(heavy rain, snow, wind), the 1ByOne Amplified Outdoor Antenna would likely be the best one as it has certain features that allow it to withstand poor weather conditions better than other similarly priced antennas. Rest assured though, the 10 outdoor antennas we reviewed in the above section represent the very best outdoor antennas out of the hundreds that are on the market today. Q: What Is The Best Long Range Outdoor Antenna? A: If your criteria is purely range then the Tree New Bee Outdoor Antenna (TNB-WA2805) is, in our opinion, what you should go for as it has a jaw dropping range of 150 miles, so double that of most outdoor antennas. Q: What’s The Smallest Outdoor TV Antenna? A: This is a question we are getting more and more often as people, rightly, don’t want large, garish antennas protruding from their homes, attracting unwanted attention and just making their home look worse. Of the ten outdoor antennas we reviewed, one of the smallest was the Mohu Sky MH-110585 Outdoor Antenna. Not only is it incredibly small and inconspicuous, it’s also super thin (less than 1 inch thick) and really light (weighs around 3 pounds). Q: Can You Hide An Outdoor TV Antenna? A: You can. But we recommend not “hiding” it per se, as that would likely reduce the signal quality being received. Instead we recommend you opt for one of the smaller, more compact and more inconspicuous outdoor antennas, such as the Mohu Sky MH-110585 Outdoor Antenna. Once that thing is up you won’t have to “hide” it as it’s so small and draws so little attention that you will forget it’s there. Distance your house is from the TV towers – Put simply, the closer your house happens to be to your local TV tower(s), the better your reception will be and the more local channels you will receive. If you are far from your local towers you can compensate for this by buying an antenna with a longer range and better coverage technology. Thankfully, you can find out how far the local TV towers are from your home and subsequently how many, and even which specific channels you are likely to receive by following this link; http://dtv.gov/maps. This way you can find out what you can likely expect before ordering an outdoor antenna. The weather - If you live in an area that regularly suffers from extreme adverse weather conditions (heavy wind, snow or rain) then you are likely to get fewer channels and at a poorer quality than someone who is in an area without adverse weather conditions to contend with. If you do happen to live in an area with harsh weather then buying an outdoor antenna that is specifically designed to withstand harsh weather conditions, (such as some of the ones mentioned in the above section), will go a long way in enabling you to get the larger number of channels and clearest reception possible. 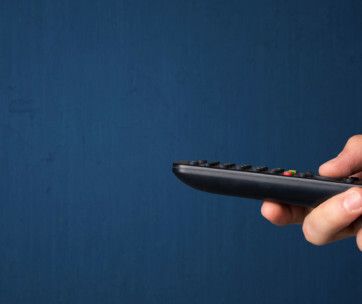 The terrain – Similarly to weather, if your surrounding area has less than ideal terrain (hilly, woodland ect) then you are much less likely to receive a large number of channels and clear reception quality. Those were the three step instructions for the RCA Compact Outdoor Yagi Antenna (number three on our top 10 list), but you will find that most outdoor antennas have a similar installation procedure. The common variations are that some antennas come with specific parts prebuilt and some antennas don’t come with all the parts/accessories needed for installation and set-up. We recommend you thoroughly read what you will be getting in the box and what you will need to install the outdoor antenna on your home before buying an outdoor antenna. So, we think it’s time for you to say goodbye to that rip off of a cable package that routinely chips away at your bank balance every single month and hello to a modern, reliable, easy to install outdoor antenna that you only pay for once but get to enjoy the benefits of for months and years afterwards. In this article, we presented the 10 outdoor antennas which we believe are the very best you can buy today. In the background we did the tedious and laborious work of sifting through the hundreds of outdoor antennas on the market today and whittled it down to just the ten you saw in this piece. So, the hard work has been done, all you’ve got to do now is pick which one of the ten best suit your needs so you can start enjoying premium local TV channels in crystal clear quality and all the while having more money in the bank since you’ve waved goodbye to the cash sucking cable companies, hopefully, for good.